Jade Sheena Jezebel Jagger is an English-Nicaraguan jewelry designer, socialite and former model. 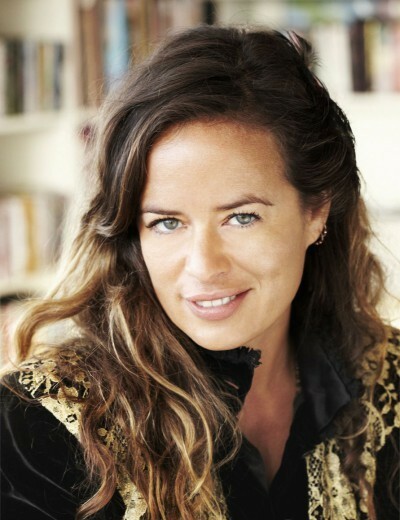 She is the daughter of Mick Jagger and Bianca Jagger. Jade was born in Belvedere Nursing Home in Paris, France on 212 October 1971. She is an only child and spent much time living with her parents on London’s fashionable Cheyne Walk in Chelsea. After her parents’ divorce in 1978, Jagger spent most of her time living in Manhattan with her jet-set mother and was often dropped off at the Factory to be babysat by Bianca’s friend, pop artist Andy Warhol. Jagger attended the Spence School in Manhattan for a few years then left at age 14 to attend the all-girls boarding school St Mary’s, Calne, England. In 1996, Jade set up Jade Inc. with Tamsin De Roemer designing jewellery, and in 2001 she began working as the Creative Director for Garrard, the English company dealing in high-end jewelry. She worked there until 2006 and now promotes a lifestyle concept called “Jezebel” - her middle name, which fuses music, clothing, and lifestyle through original recordings, remixes, unplugged sessions, and fashion. She also owns a building with luxury condo units in Manhattan and has worked as a lingerie model. In 2001, she appeared as herself in the film, chronicling a year in the life of her father, Being Mick. In 2008, Jade's career was revived, courtesy of Belvedere. Best known in accessory circles for her gig as creative director at Garrard, Jade had created the "Jagger Dagger," a sword boasting an 18-carat white gold hilt studded with 12 carats of brilliant-cut diamonds, 42 pale sapphires, and inlaid with a central blue lapis lazuli square. In 2010, Jade redesigned the iconic Guerlain Shalimar EDP bottle.